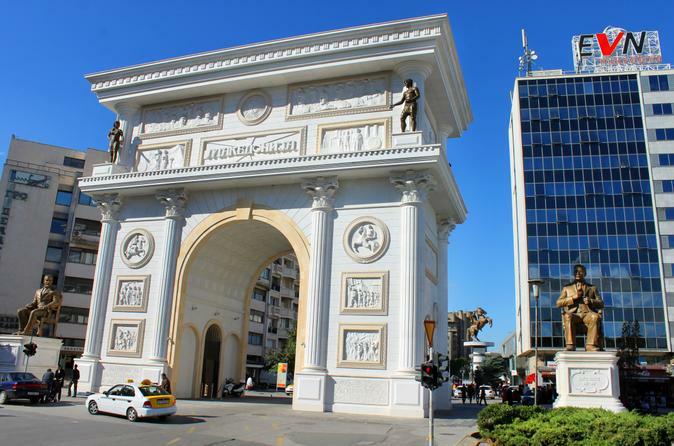 Discover Skopje's top attractions and it’s surroundings. Follow your friendly and knowledgeable guide through the street of Skopje, beginning with the new “Skopje 2014th”, across the Stone Bridge, through the Old Town and then up to the fortress Kale. Enjoy a ride up to the Millennium Cross at the top of Mount Vodno for a spectacular panoramic view on Skopje. Visit St. Pantelejmon church, before heading to Matka canyon. If you enjoy being in nature and want to know and see more than the usual, experience what every tourist does in Skopje. 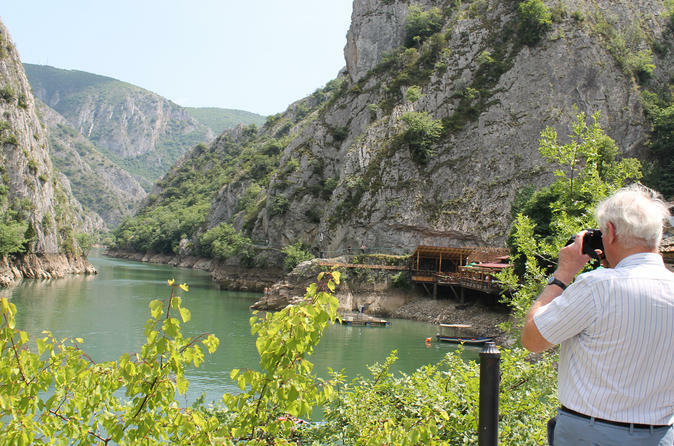 Go beyond Skopje’s surrounding beauties and visit Millennium Cross and Canyon Matka. After a short cable-car system reach the Millennium Cross on the top of Mount Vodno, for a spectacular panoramic view of Skopje. Visit the nearby village of Gorno Nerezi and the St. Pantelejmon church, to witness the frescoes that are among the highest achievements in existing Byzantine art. 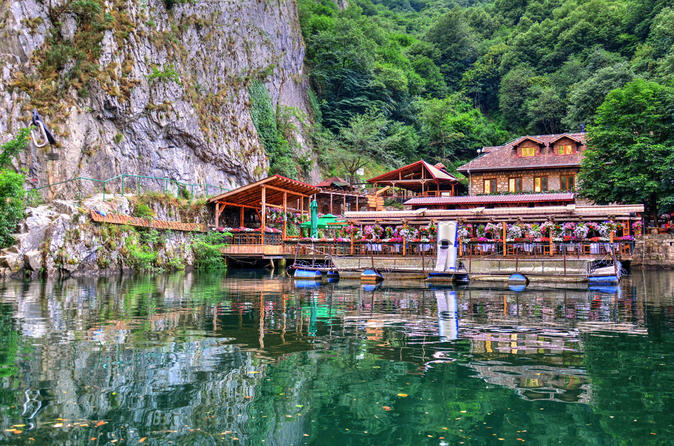 Before returning to Skopje, travel to Matka canyon, one of the most popular outdoors destinations in the surrounding of Skopje. 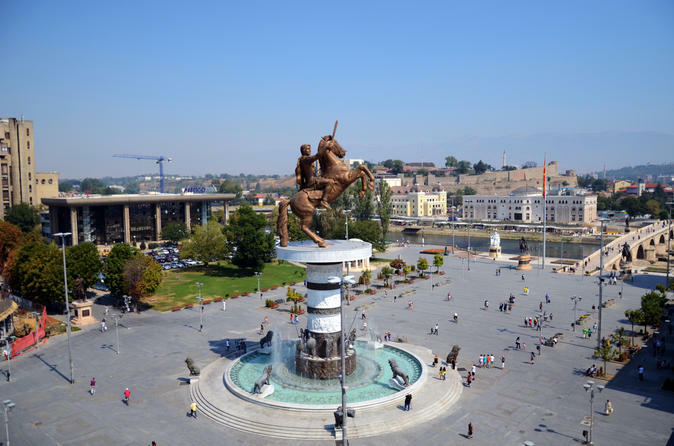 If you simply want to see the best and most important of Skopje, the highlights of the city and it’s surrounding with a private driver-guide, then this is your tour. If you enjoy being in nature, want to know and see more than the usual, want an experience beyond what every tourist does in Skopje, then go for Skopje’s surrounding beauties. Experience a relaxing, pleasant day in the wine region of Macedonia. Visit the archaeological site Stobi, one of the best preserved archeological localities where you can see the beautiful ancient mosaics, and then continue through the picturesque wine landscapes to finally reach the winery that is located in an unspoiled nature. Enjoy few hours in a private wine tasting session with some tasty local bites and breathtaking view on the surrounding mountains and wine landscapes. 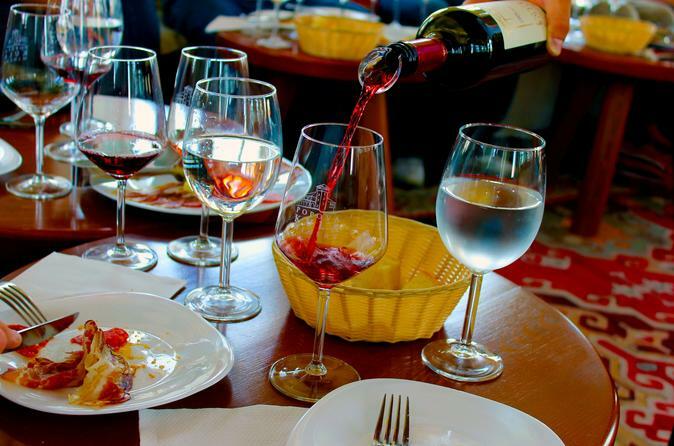 The numerous sunny days in Macedonia are the source of rich tastes and aromas that you will never forget! Go for a unique opportunity to try our authentic wines. Are you willing to see the latest 'newborn' in Europe? 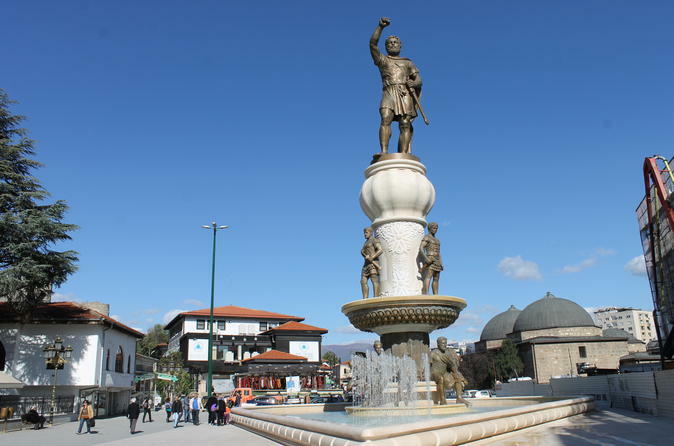 This private full-day trip to the capital of Kosovo, Pristina, is really an easy step once you are in Skopje. 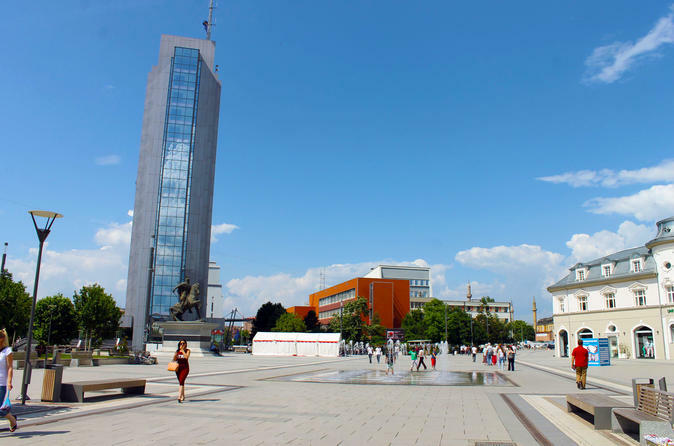 In only just about hour and a half drive from Skopje, you are given the chance to visit UNESCO World Heritage Site, triumph of Byzantine architecture, the Gracanica Monastery, then, the monument of Kosovo Battlefield and next visit the lively, vibrant and modern Pristina. You get to see the old and new sites of the city, the old bazaar, mosques, museums, sculptures and monuments. You get to enjoy among the trendy caffes and restaurants. What you definitely shouldn't miss is trying some of the tasty bites all around you.